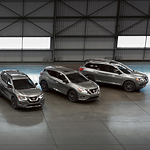 The Nissan certified pre-owned vehicle program is among the most popular among consumers. This is because it offers a variety of benefits that you may not be able to find with other manufacturers. For example, if your vehicle is ever stuck on the side of the road, you can call for free towing service. If you need a rental car, you will be reimbursed for any money spent on that rental vehicle. Another quality benefit is that the warranty that you receive when purchasing a used Nissan is transferable. This can help to increase its resale value if you ever put it on the market or want to trade it. The warranty itself lasts for up to seven years or up to 100,000 miles. Generally speaking, car loans last for seven years or less, which means that the car could be paid off before the warranty expires.